* All prices quoted are PER PERSON based on twin share in Australian Dollars and include taxes, fees and port expenses (if applicable). All prices quoted are for the cruise departing on 01Apr20. Reverse direction also available. Certain departure dates and embarkation points may be at an additional supplement. For more information please contact one of our Travel Specialists. Bucharest is a fascinating combination of Communist grandiosity, elegant French-influenced 19th-century buildings and surprising survivors dating from the 1500s. Perhaps nothing more perfectly encapsulates Romania’s 20th-century experience than the mind-boggling People’s Palace, which you can visit today. Another option is a walking tour that shows you this city from a local’s perspective. Later, you’ll travel via motorcoach to Giurgiu, where your ship awaits. Vidin is a port town on the Danube the once played an important role in medieval Bulgarian politics, as the great fortress Baba Vida attests. It’s your base for today’s featured excursion—a visit to the fascinating Belogradchik rock formations. 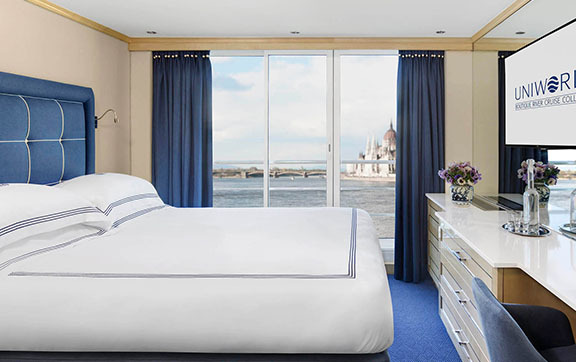 Uniworld is excited to introduce their newest Super Ship — S.S. Beatrice. 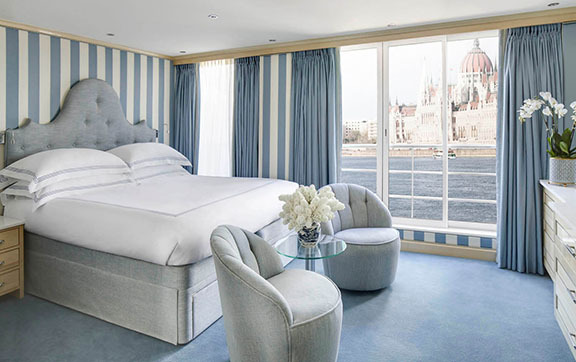 The S.S. Beatrice boasts yacht-style light wood with blue and white finishes throughout, a renovated lobby featuring elegant mirrors, marble floors, a white Murano chandelier with blue shades, and a grand staircase made of nickel and black iron – a signature design element of Uniworld’s Super Ships. 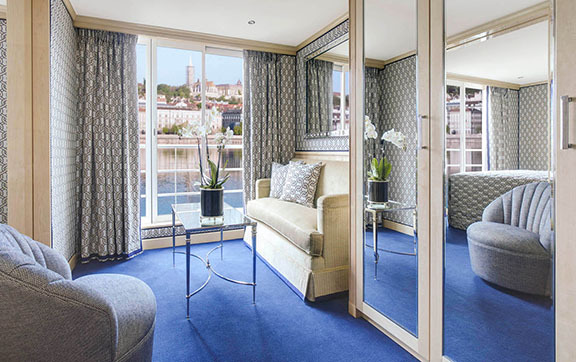 The ship’s redesigned lounge features sofas and chairs with hand-made upholstery, a parquet floor and upholstered ceiling panels, solar shades, and new USB ports allowing guests to charge anywhere they are sitting. The artwork throughout the ship includes pieces from Pablo Picasso, Alexander Calder and Pino Signoretto. 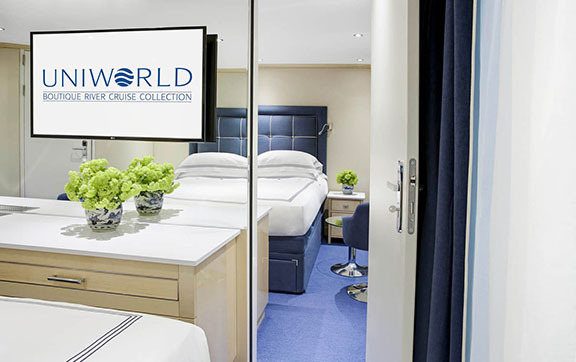 Uniworld’s meticulously designed ships feature enticing public areas and luxurious amenities, including a lounge with full-service bar, well-equipped fitness center, restaurant, Serenity River Spa, and a Sun Deck where you can relax and take in the ever-changing views. 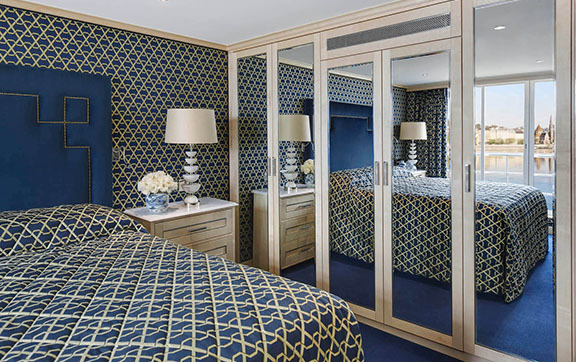 Additionally, S.S. Beatrice has two new Grand Suites each measuring 310 square feet and a second 390 square foot Royal Suite. 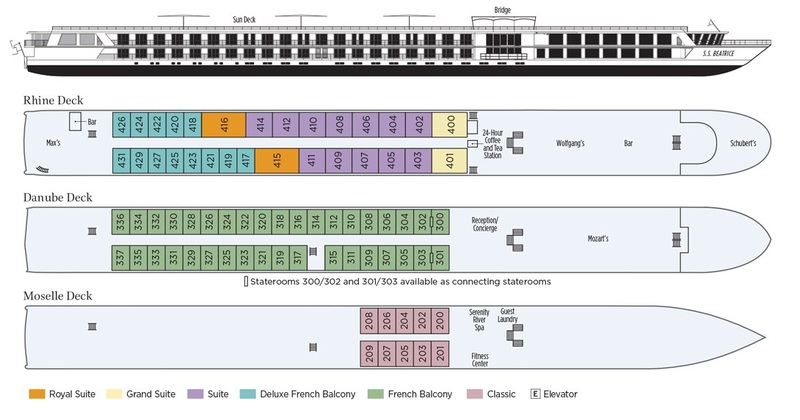 Connecting rooms, ideal for friends and families traveling together, have also been added.